First they said the trial run would begin on Monday, 24 January 2011. Then they said it wouldn’t. 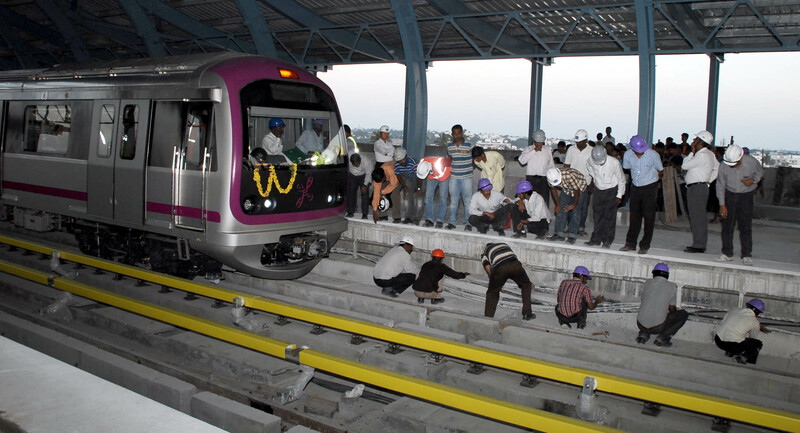 But Namma Metro slithered silently along Mahatma Gandhi road, well ahead of schedule on Sunday, 23 January 2011 (top), after blue, white and red-helmeted technicians had attended to some repair work on the track at Ulsoor. For the record, the top picture was shot at 30 seconds past 7.12 pm. This entry was posted in Media, Mysore-Bangalore and tagged Bangalore Metro, BMRC, Churumuri, Karnataka Photo News, KPN, M.G. Road, Namma Metro, Sans Serif, Ulsoor. Bookmark the permalink. Well Done. The Balance as Quickly as possible. This shall certainly be a bold lettered major milestone in the history of Bangalore. Congratulations to everyone at BMRC team. Hope all the reaches in Phase1 would be implemented without any delay. Though the Metro is planned to across N-S and E-W corridor, it should also cover connect North-East to South West, North West to Sout East. Example – Connectivity to Electronics city and beyond does not figure in Phase 2 (because of the tolled NH elevated road?). Hope the above connectivity is thought of and planned in the coming phases. 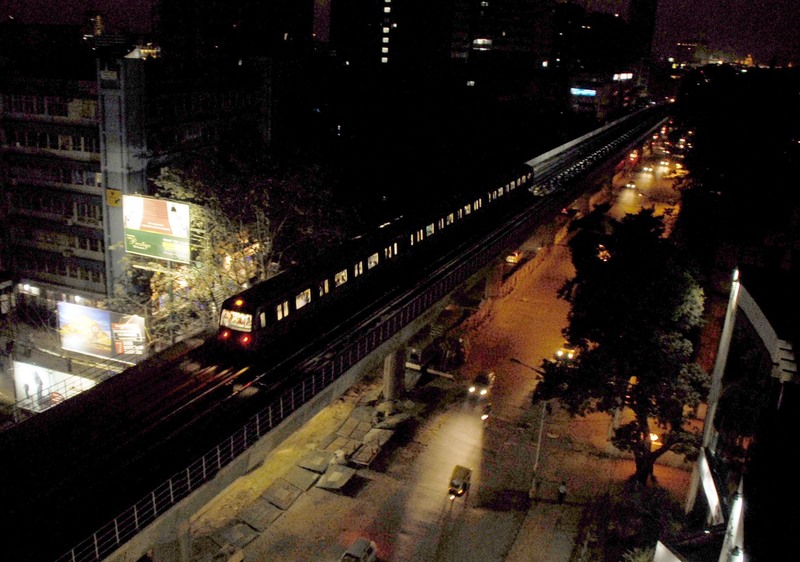 thrilled to bits to see the metro finally run!! really pleased..
it should connect North-East to South West, North West to Sout East.